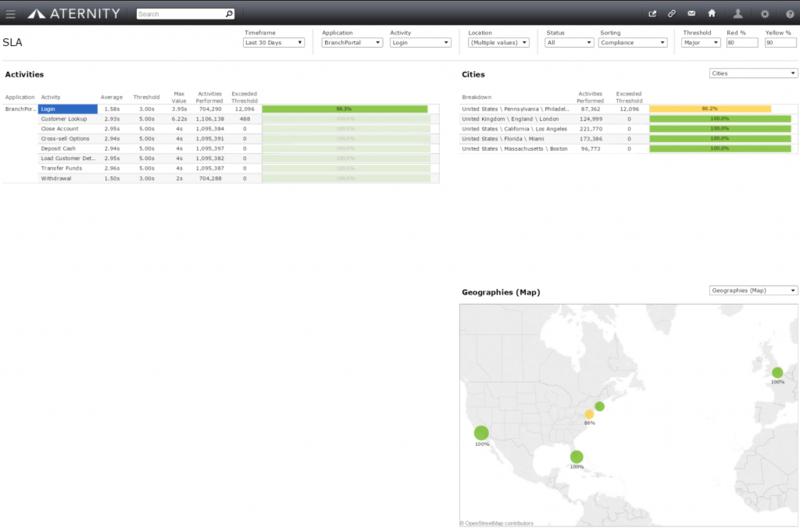 Welcome to the second in my series of enterprise mobile migration tips. I’ve been involved with helping several enterprises roll out mobile as part of their omni-channel strategy, and Aternity Mobile APM plays a key role in ensuring success. In part 1, I introduced one of my financial services customers, which is rolling out tablets in its full service branches to increase customer engagement. This company used Aternity to compare the performance of key business activities executed on the mobile teller app to similar activities performed on the desktop. After all, validating that performance is as good or better on the tablets is key to improving customer service. With the validation complete, IT rolled out the mobile teller app across the nation-wide network of full service branches. With the app now deployed, the IT Ops team and the app owner were on the hook to make sure that the customer service staff using the app could perform their functions efficiently and effectively. Since both of these teams were evaluated partly on the internal customer satisfaction scores from the line of business, this was not only a corporate goal, but it was one that impacted their paycheck. 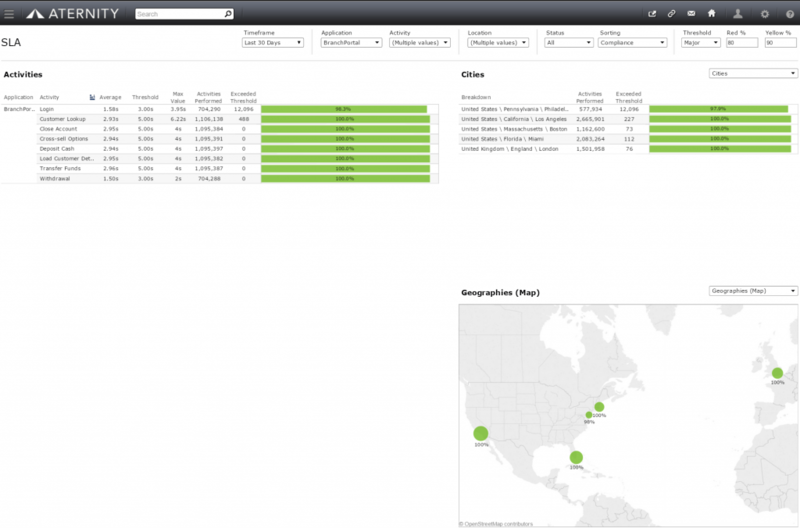 With Aternity Business Activity Analytics, the branch staff, app owner, and IT could monitor the volume and response time of the key customer-facing business activities commonly performed in the full service branches. These ranged from simple interactions like looking up a customer record or loading customer details, to more complex actions like submitting a mortgage application. The branch staff established SLA targets for each of these business activities, based on goals to deliver excellent customer service. The IT team used Aternity to report progress to the line of business and to validate gains in workforce productivity and customer service. As a result, the line of business used the same data to justify the investment in mobile tablets and to migrate the teller app to a mobile platform. By trending the individual functions at the business activity level over time, my customer confirmed that although most critical business activities performed within established SLAs, the Philadelphia branch suffered serious deviation when logging into the app, along with minor deviations for withdrawal activities. Interestingly, IT previously had no indication that this problem was occurring. Not only did they not have visibility to the end user experience, but the Philadelphia branch staff had never known anything BUT slow log-ins, so they considered the slow performance ‘normal’. Only by establishing the three second threshold for the log-in business activity, and then monitoring for adherence to that target, was IT able to identify the problem. Armed with this information, the IT investigated the connection to the local Active Directory authentication server and resolved the bottleneck. Whether you’re a financial services company, retailer, manufacturer, insurance company, or other large enterprise, implementing a mobile migration as part of your omni-channel strategy requires you to measure mobile app performance against established SLAs of business activities. Doing so not only ensures you are delivering excellent customer service, but it helps you identify those in your organization who are suffering in silence. 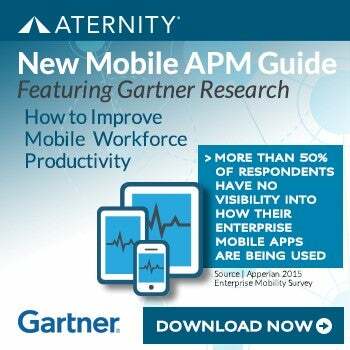 You can read what Gartner says about Mobile APM and Aternity by reading the Gartner Market Guide for Mobile Application Performance Monitoring, which is part of our co-authored newsletter. If you’d like to start a trial of Aternity, just register here. 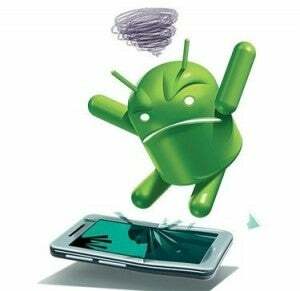 Stay tuned for my next mobile migration tip.